If you are looking for "Jim from Hammack," or "Jim the air conditioning guy," then you have come to the right place! 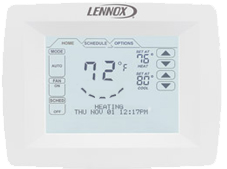 Residential or Commercial Climate Control , Jim's Climate Control is North Dallas' trusted name in heating and AC. Call us today at 972-999-7523 and we will have someone assist you right away. Jim Kuhs established himself as a trusted name in North Dallas heating and air conditioning with honest advice, knowledgeable expertise, fast response and friendly service. "Jim responded quickly when we really needed help with our air conditioning. His expertise and honesty also saved us hundreds of dollars that others might have charged. Thank you, Jim!"